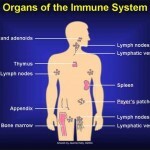 A role of our immune system in preventing cancer has been postulated for over 50 years. However, it has only been recently that researchers have been able to begin to unravel the complexity of the immune system’s role in cancer and begin to harness the immune system to fight cancer. Present research suggests that from time to time we may all be developing cancerous cells which are kept in check by our immune systems. One of the mysteries of advanced cancer has been why some cancerous cells are able to escape from immune suppression so that the immune system does not always effectively attack one’s cancer. Under the microscope cancer-fighting T-lymphocytes can be seen surrounding cancer cells but not killing them. One reason that has been discovered is that some cancers may produce signals that tell the “T” cells to go into a kind of immune hibernation. Newly developed drugs block these cancer produced signals and, in certain cancers, have led to dramatic cancer shrinkage. Normally T cells have a limited life span and die via a normal phenomena known as apoptosis. A new class of drugs called “programmed death” or PD-1 inhibitors tells T cells to stick around longer and not die so that they can more effectively fight cancers. In yet another strategy, pioneered locally at the National Cancer Institute, T cells are removed from tumors, genetically re-engineered to make them better cancer fighters, and then re-infused back into the patient. The advantage of this type of therapy is that the new T cells can take up residence in the body and be around for a long time to perpetually keep the cancer on the run. Researchers are working on combinations of these different strategies and trying to figure out how to prevent unintended serious side effects, such as the activated and aggressive cancer fighting T cells not attacking normal tissues. Some of these strategies require individualizing treatments for each cancer, and each individual, and thus are not presently practical on a large scale. The field is in its infancy but nonetheless has been making dramatic progress. In our own practice we have seen a few patients begin to benefit from these new therapies. Many of the researchers have been working on this for their entire careers. They, and the institutions that have supported them, deserve a lot of thanks for their efforts that hopefully will eventually lead to a new era in cancer treatment.